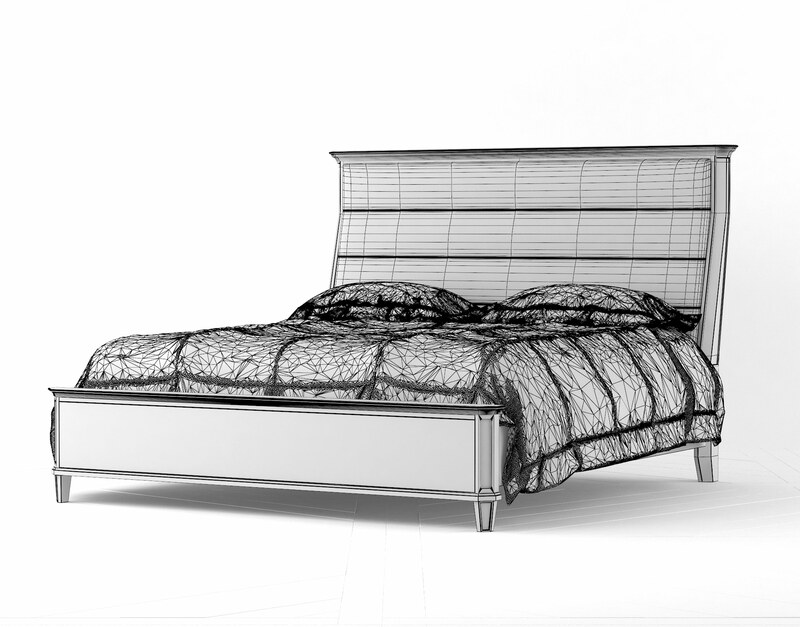 The Alvius bedroom collection features a remarkable array of furniture designed to create a strong sense of refinement and practical realism in residential architectural visualizations. 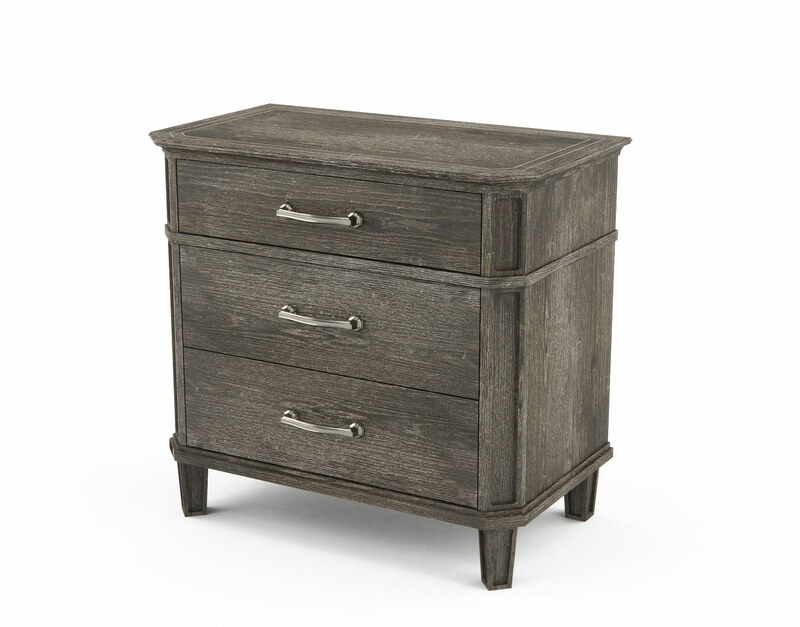 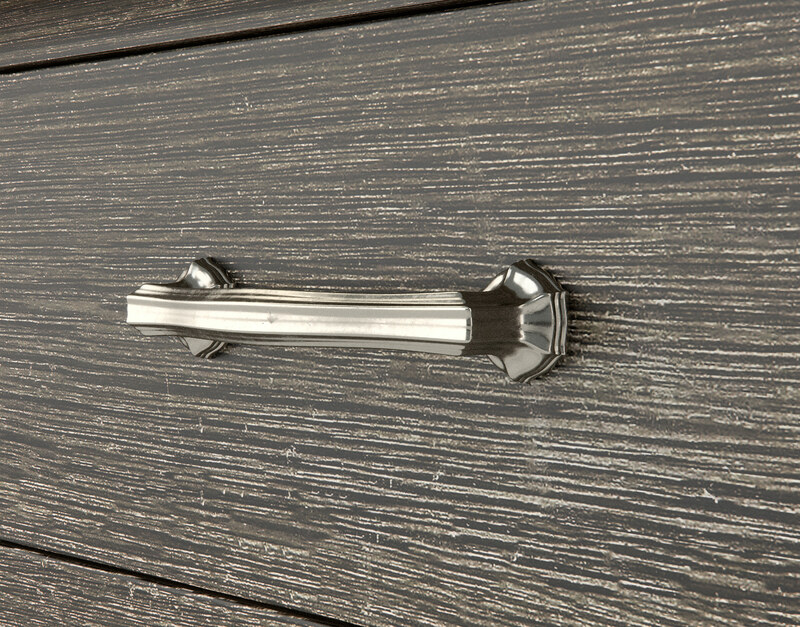 This collection features high resolution seamless textures, photorealistic VRay materials, and a very elegant—almost ornamental—rose gold bar pull on all the drawer fronts. 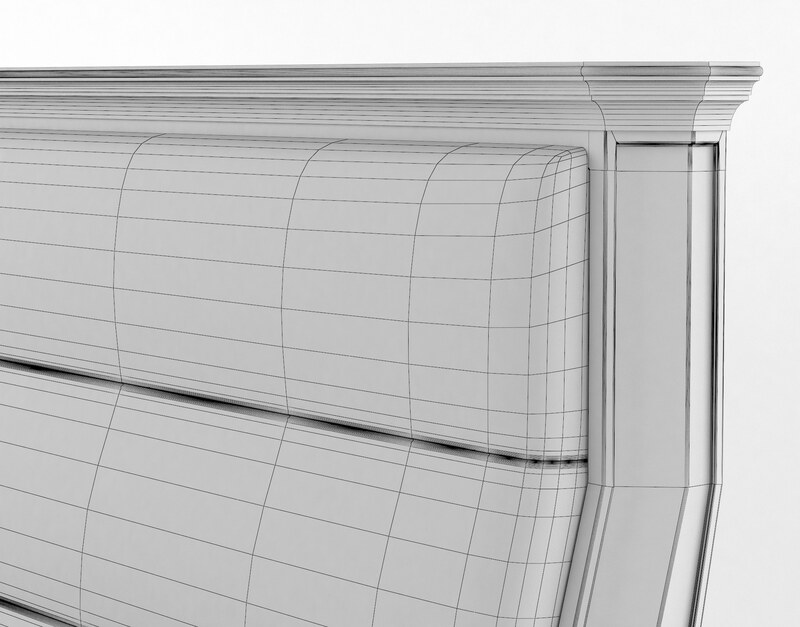 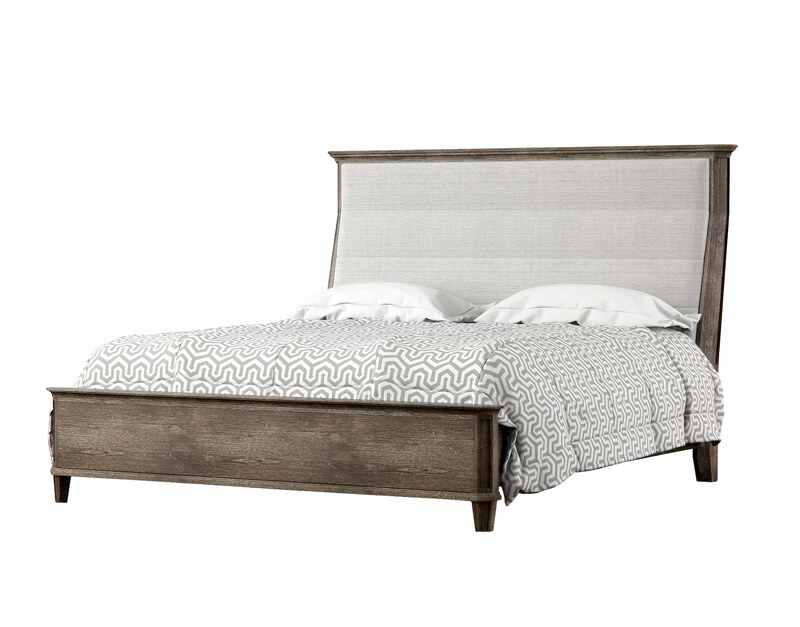 Bedding shown on the Alvius King Size Sleigh Bed is included in this download. 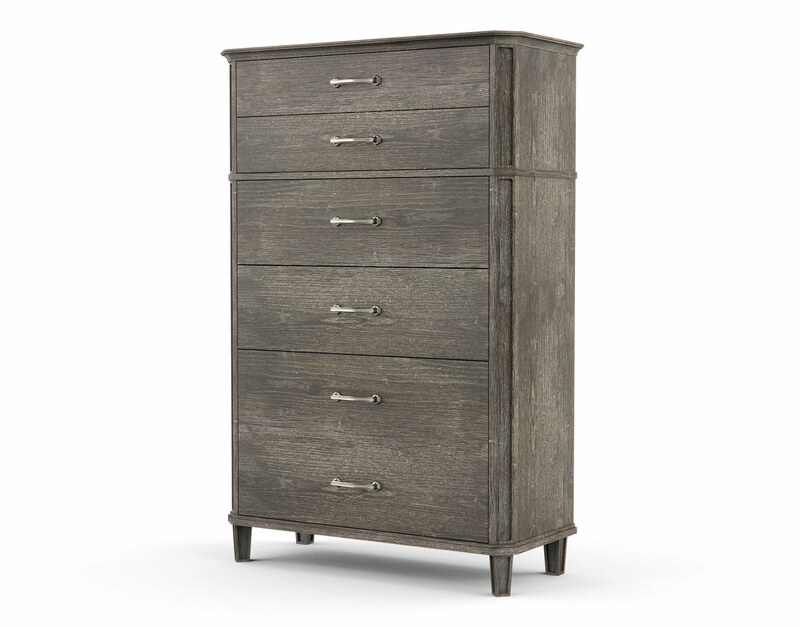 The Alvius bedroom collection has a strong sense of refinement and yet also presents with a hint of rustic and reclaimed style. 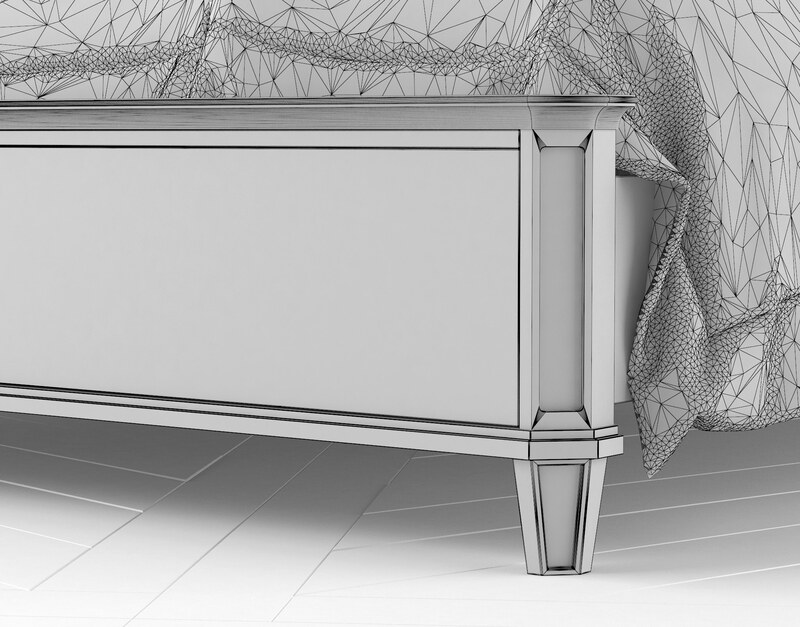 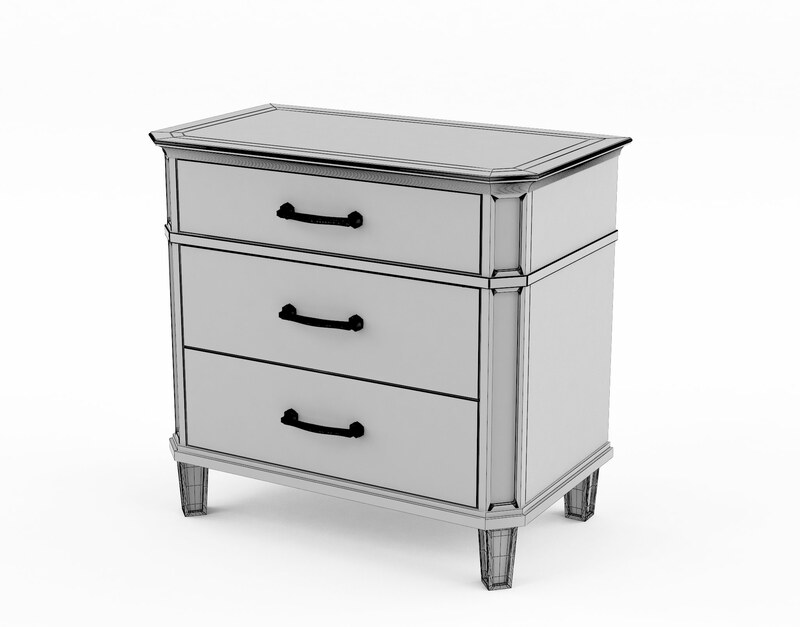 The breakfront design of the dresser, along with the inset carvings on each the feet of the pieces in this collection mark an exquisitely-unique presence. 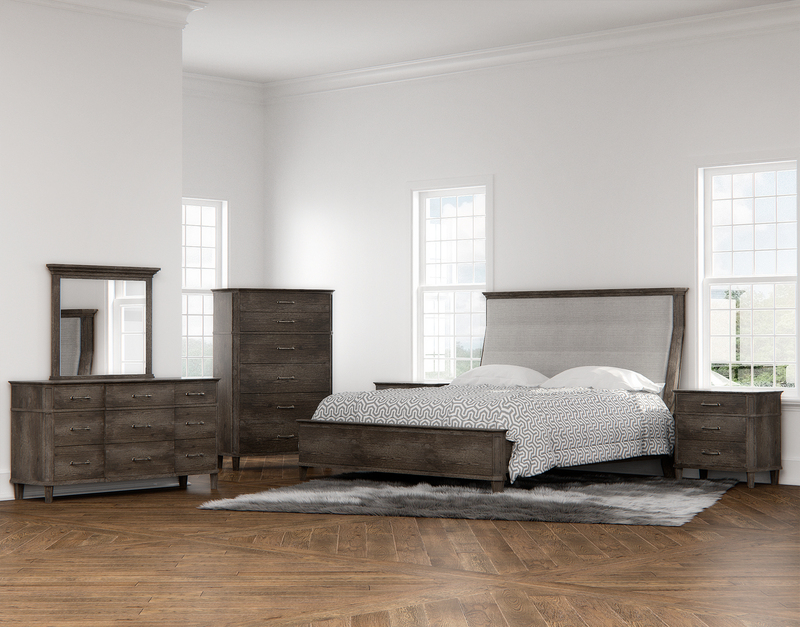 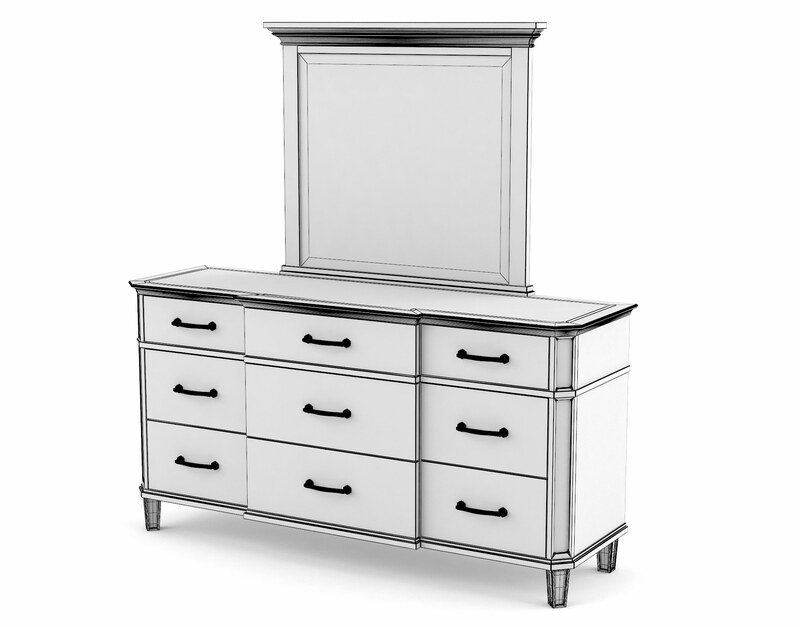 The Alvius 3D Bedroom models collection contains a King-size sleigh bed with an upholstered headboard, a nine-drawer breakfront dresser with mirror, a bachelor’s chest (serving as nightstand) and a drawer chest. 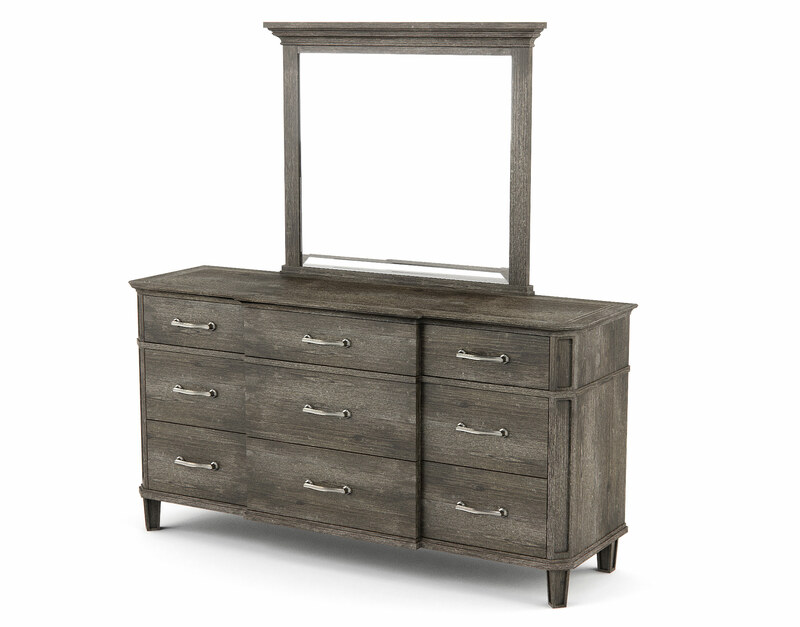 The unique bleached oak veneer texture used on these pieces offer a subtle sense of natural beauty to support the larger sense of refinement found in the Alvius’ design style. 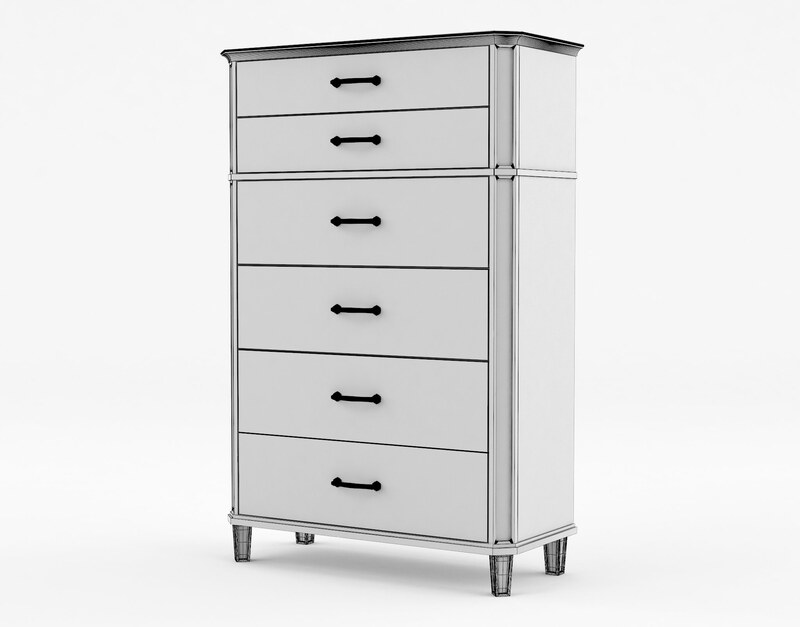 Each case piece features an eloquent rose-gold-colored nickel bar pull with an almost floral shape. 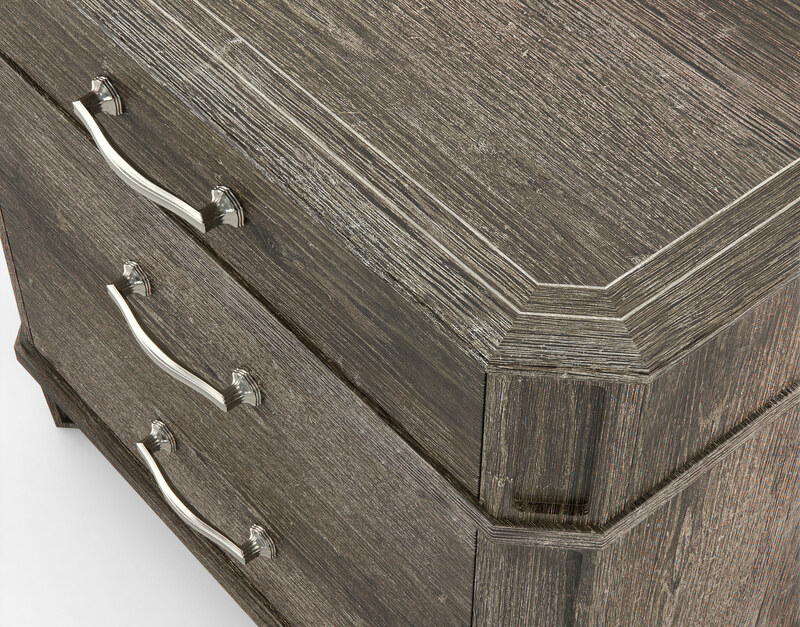 To top things off, each case piece in this collection also showcases a double-line light maple inset on the topmost surfaces perfect for closely-detailed auxiliary shots. 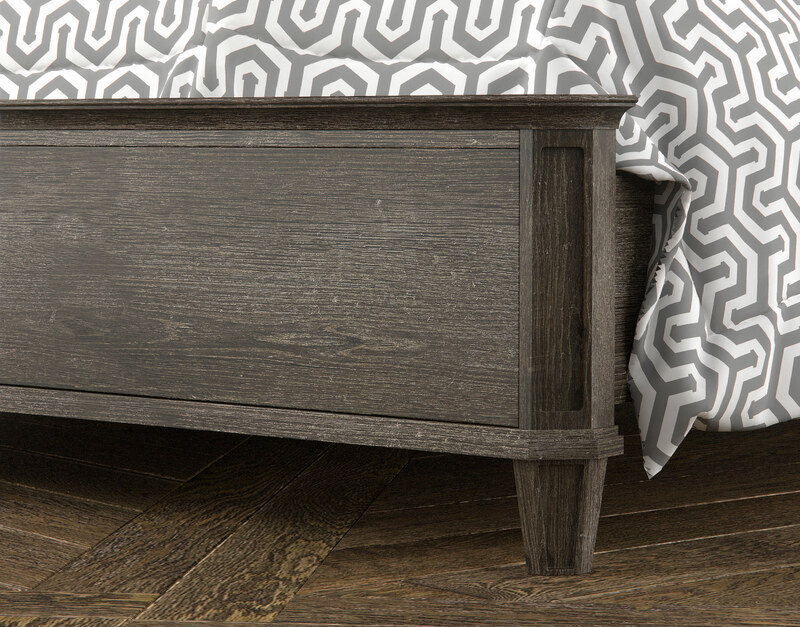 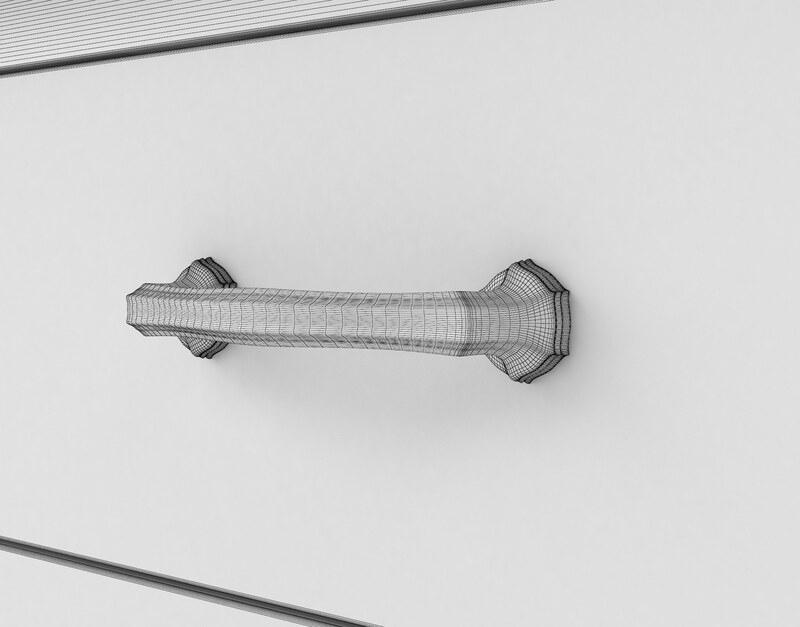 These models have all been optimized in 3DS Max and VRay for high-resolution photorealistic rendering and are perfect companions for residential architectural visualizations.